Wargame consacré à la campagne de l'été 42 au printemps 43 sur le front de l'est dont le tournant sera Stalingrad. 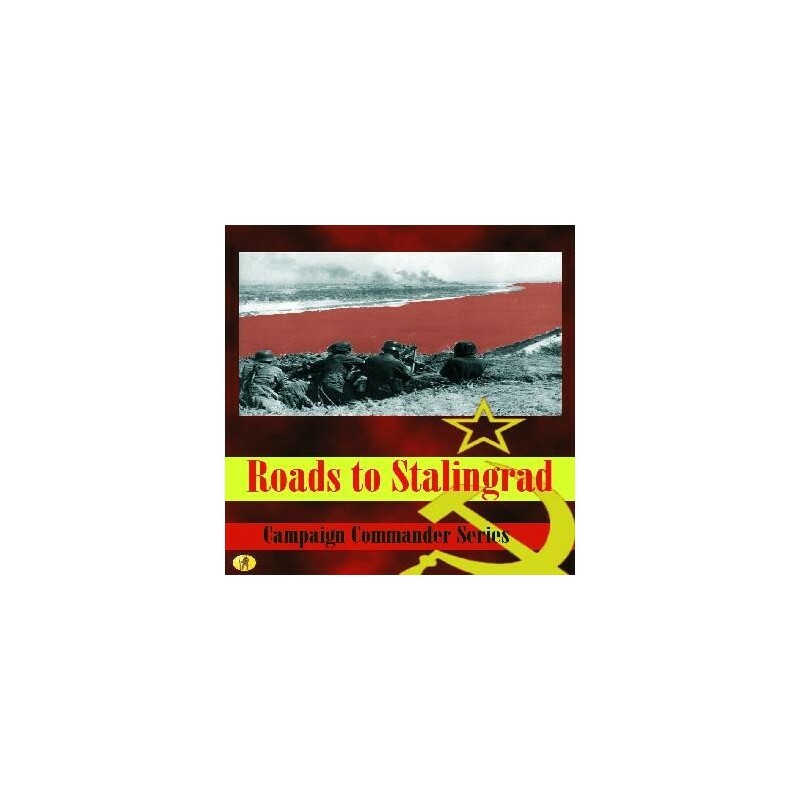 "Roads to Stalingrad" is the first volume of the Campaign Commander Series and depicts the campaign in southern Russia from the summer of 1942 to the end of the winter of 1943. After a terrible first winter in Russia, the German troops reorganized and readied themselves to launch the offensive to end the war. The soviets got ready first; they launched an attack to retake Kharkov that ended in disaster for the troops involved. After finishing this offensive the Axis forces - numbering many Hungarians, Romanians and Italians - launched, at the beginning of July 1942 the operation code named "Case Blue". German advance seemed unstoppable, reaching the Caucasus and the banks of the river Volga. At the city of Stalingrad the German army would experience a real nightmare fighting through August to October in an attempt to conquer it. Control of the city meant that the Germans could cut the traffic along the Volga, while for the Soviets it became a symbol of resistance against the invaders. Both Stalin and Hitler sent more and more troops to the cauldron of that destroyed city, into the fiercest and bloodiest battle ever known in history. In the event, conquering the city was rather useless to the Germans since, beginning on the 19th of November, Operation Uranus was launched and Marshall Zhukov could trap the German 6th Army into the ruins just won. Successive soviet offensives destroyed the Italian, Romanian and Hungarian armies on the river Don, forcing the Germans to evacuate their conquests in the Caucasus and endangering even the survival of the whole German Army Group South. Only the timely intervention of Marshall Erich von Manstein allowed the Germans to stop the Soviet advance and stabilize the front, thus saving an already catastrophic situation. The game is played at the operational level - with a zonal map at a 1:120000 scale. Designed for two players, one handles the Axis while the other commands the Soviets. The game has an estimated playing time of 3-4 hours and uses a double system of counters/map and cards in its mechanics. Players must use appropriately their troops and resources to obtain victory points either by destroying enemy forces or by occupying cities on the map. This is not a card driven game, cards are used for causing certain events, influence the outcome of battles and to place on map the necessary resources and reinforcements to fight on. 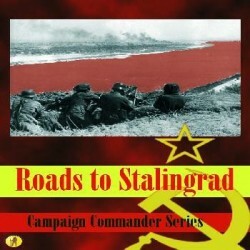 The game starts in summer, the Axis player has the initiative and will mercilessly and relentlessly pound the Soviets. The Soviet player will have to hope for the winter - a card to be played given certain conditions - to stop the Axis advance and defeat them. As the other titles in the series, this game has very simple rules and has been designed to make games wholly interactive, creating a solid and enjoyable experience for those who simply cannot find the time and space to play a longer and more complex game. The Axis player must face the historical disjunctive, should he concentrate on taking the Caucasus, Stalingrad or both? The Soviet player will have to be patient and force his enemy to overextend his resources, at the same time managing to accumulate forces for a lethal winter offensive. - 1 80 x 60 cm map of southern Russia, Ukraine and the Caucasus. 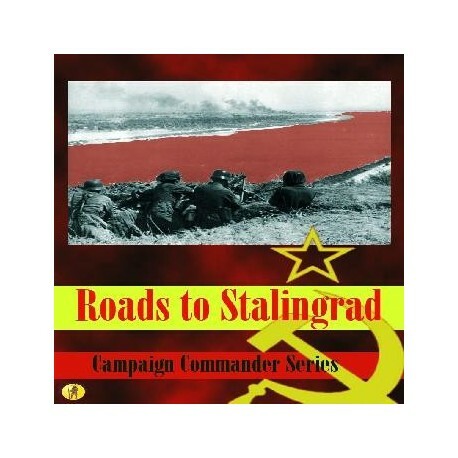 - 1 Campaign Commander Series Rules and Roads to Stalingrad Exclusive Rules and historical and design notes.